Depiction of Asser Levy created by artist Alex Shagin for the Jewish American Hall of Fame. 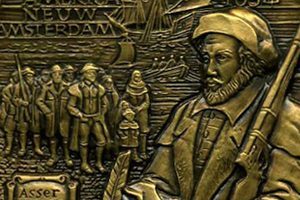 Learning of new opportunities in New Amsterdam, Asser Levy left Amsterdam and arrived in Manhattan on 22 August 1654, one of the very first Jews to do so. New Amsterdam was not a wholly welcoming place to Jews, and Levy would lead the struggle for political and civic rights, resisting discrimination and prejudice in early New Amsterdam. 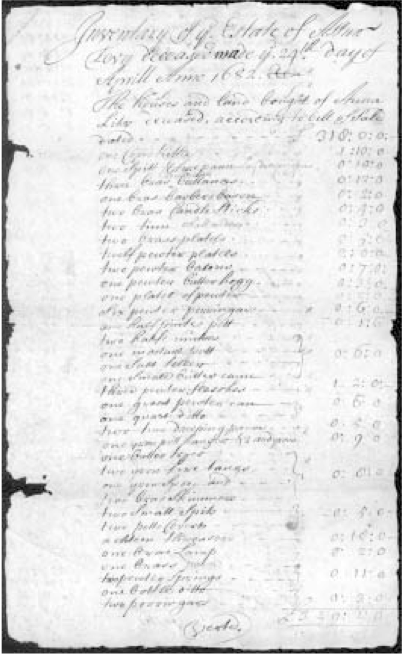 A page from the inventory of his belongings at the time of his death in 1682. 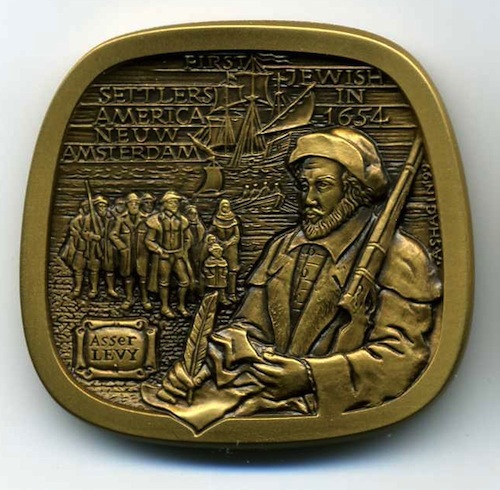 Levy and other Jews fought for their rights using the one method available to them – petitioning the government – to challenge restrictions on their ability to own real estate, to trade freely throughout New Netherland, and to participate in the burgher guard. After successfully gaining the “burgher right” – city citizenship – Levy became a successful butcher, merchant, and land speculator. When the English took over New Netherland in 1664, Levy became a denizen of the English empire and continued to prosper. Over the next two decades, Levy traded in grain, flour, salt, peas, and tobacco in exchange for a variety of imported manufactured goods. By the 1670s, he built a large slaughterhouse with his business partner at the south end of Wall Street and purchased additional properties in Manhattan. When he died in 1682, he left a considerable estate to which more than 400 New Yorkers were indebted. Asser Levy’s persistence, assertiveness, and determination gave him a successful life in early New York. As the city’s first permanent Jewish resident, his life and career served as a model and inspiration to the next group of Jewish immigrants who would arrive in the late 17th century. 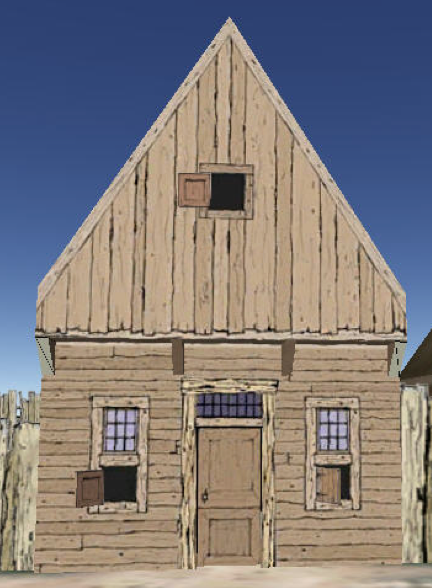 Digital model of the property he owned in 1660.